In Friday fashion, I'm teaming up with my girls, Andrea and Narci, to share our Friday Favorites. You should join in the fun! One of Ebby Lee's besties got her hair cut about a month ago and she's been contemplating it ever since. Then we bought the American Girl movie about Kit to watch on the way to the beach and that sealed the deal. Kit has a cute little blonde bob and that was just what she needed to see to push her over the edge. We finally decided last Friday to get it cut! Because of all the swimming her hair was a mess! The After-might be my FAVORITE cut ever! After lunch, a play date, and a hair cut we went to a local furniture store to shop. They have the best popcorn and this happened while we were shopping. They both made this defeated look when I told them they had to pick up all that popcorn. Friday night we had a dinner date night with some of our FAVORITES! I used my app, A Beautiful Mess, to add the text and graphic. I asked for your favorite apps on Wednesday and you ladies delivered-THANK YOU!!! If you haven't read all the comments with recommendations, go here to check them out. 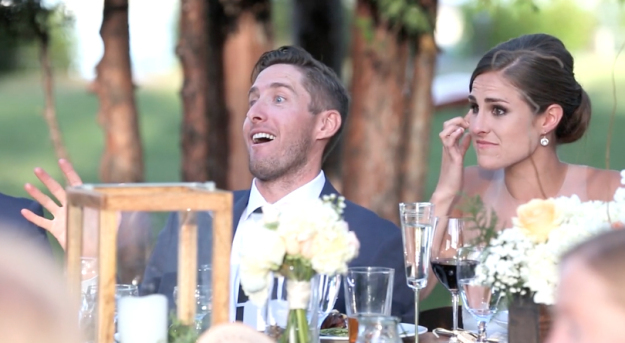 Have you guys seen the Best Wedding Toast Ever video?? Oh my goodness!! I was laughing and crying along with the bride when I watched. Definitely a FAVORITE! Tennis camp started on Monday. These kiddos were HOT!! Afterwards they were tired and exhausted. Seeing how much they've improved since when they started tennis camp two years ago is a FAVORITE! My parents are in town for a quick trip and my mom went along to watch yesterday morning. She said, "Oh! They're really hitting it!". I think maybe she thought they were too young to really hit the ball with the rackets? haha! She was impressed! I'm sure you guys have seen the surfer, Mick Fanning, get attacked by a shark AND he showed that shark who was boss!! The incident was not a FAVORITE, but after watching I'm so amazed that he got away. Here is a link if you haven't seen it. Have a FABULOUS weekend, ladies!! Your daughter's haircut is adorable. The popcorn, so would have made my girls pick it up too! Good mama! 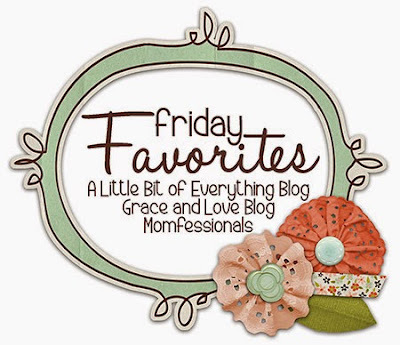 Thanks for hosting another Friday! Love them. That video totally freaks me out! Ebby Lee is rocking the bob. And the surfer is soooo lucky! Can you imagine being his mama at home and watching it all unfold? I just love Ebby Lee's hair!! Love, love, love it! And that picture of them looking at the popcorn made me laugh out loud! So funny!! Love you girl! That shark attack/incident is one of the craziest things I've ever seen. Glad he was able to fight him off but I would've pooped my pants. I still hold my breath when I see that shark video - even knowing he was OK.
That defeated picture - haha! LOVE LOVE LOVE Ebby Lee's haircut!!! So cute - perfect for a fresh school start!! Oh her hair is darling!!! the wedding video was great I saw it a few days ago and sent it to my friends!! Your daughter's hair looks great! She is precious! Also, omg that shark attack story/video...ya I think I'd die! Literally just lay there and let him eat me! I love Ebby Lee's green dress! Where is it from? Her haircut is adorable too. Her hair looks adorable ! Love Ebby Lee's new haircut, so cute!! The photo of the kids at tennis lessons is just adorable! That wedding toast was awesome!! Oh my gosh her hair!!! SO cute! Happy FRuday!! Oh my gracious Ebby Lee looks absolutely adorable!! I seriously need new living furniture and cannot wait to see what you guys and the Dreffs pickout. I don't know why buying furniture is so hard for me! I love love love Ebby Lee's new cut! My 3.5 year old, Molly Kate, has that cut and we always get compliments on it! She's also obsessed with Kit! ;) And I just shared that wedding video on my Facebook this past weekend! I want to be friends with those girls! And maybe you and Shay and Schaeffer too! Haha! Have a great weekend! Oh I just love bob haircuts on little girls! My 3 year old sister has one and I adore it on her! Too sweet! Have a great weekend! I wondered if Mick Fanning made the US news as he's pretty much became a national hero here. It's all we had on TV for three days I reckon. Ha! I just heard on the news that he just went back in the water for his first surf since it happened. He's home on the Gold Coast. He's a legend for sure!